2 vendors have this plant for sale.29 members have or want this plant for trade. See the series of cookbooks, (County) The Beautiful Cookbook. The Italy version had recipes for Cardoon. I had seen this plant growing near a horse ring down the road, my mum was with me and immediately she gasped at the colour, shape and size of its leaves, they had it in a raised bed as a centre piece, no flowers though. I thought it was rare and exotic looking, without a clue searched the internet without luck. Then luck struck when I was passing again and saw the gardener pottering, he said its Cardoon, and an hour later he was down my garden with a packet of last year's seeds. I tried these in the green house about September, and non germinated. Then last year I got some seeds of e-bay and in March I had about 90% germination rate, the seedlings came happy in the green house and did not suffer under watering or over heating, I had about 10 ready, about 10-15 cm high to plant out end ... read moreof April, still warming up and cold nights may hit even then. I put three in the back under the big Oak, dry and shady but gets about 50% south border sun, put 4 in the middle bed, almost full sun apart from early morning in sets of two. Last I put one in front bed shade all morning. The ones under the oak were savagely eaten by something really quickly, none made it. The one in the front bed was eaten even now in Jan its still hanging on with one or two leaves, but the 4 in the middle bed took about 2 ft tall each and are now doing well, touch wood. I was completely surprised to see that they did not die back during our harsh UK winter, which is very wet and frosty, they kept their leaves and are still going strong. So I am now looking forward to spring to see what happens next. I am try and put some in my middle back bed which is clay clogged and nothing survives there over winter. An extraordinary plant, beautifully and dramatically architectural. 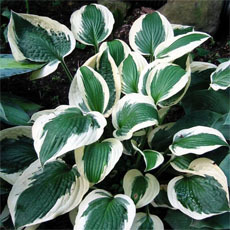 The silvery color of the foliage is a great foil to other colors. Blooms in late August in Southborough, MA Z5-6. The flowers are big and beautiful and showy, more blue than violet, but they don't last long, and the whole plant deteriorates and needs lots of cutting back in succession after bloom. (In fact, the only maintenance issue arises from the need to remove a fading leaf at the base almost every week, there always seems to be one or two.) The only spines are on the bracts at the base of the flowers---there are ornamental strains without spines on the petioles. We haven't seen any self-sowing, but we've dead-headed. I've been astonished to find two of these have returned faithfully for ... read moreat least the last four years (and perhaps more) with no special protection. They get full sun and good drainage, and are a few feet from a south-facing brick wall. Each is the major focal point of the bed in which it resides. We've also inherited a cardoon in a border in Jamaica Plain, MA Z6a, which has gotten through at least 3 winters. Update: This last season (2013) I grew a culinary strain from seed, 'Rouge d'Alger' (which was claimed to be spineless but has spines along the petioles). The fleshy petioles were attractively tinted pink. Plants grew to about 2' in one season. Of the older plants, one blackened and died this season, and its replacement's leaves also blackened before it too died. I wonder, could cardoons' longevity here be limited not so much by winter hardiness as by a susceptibility to disease due to our humidity and year-round rainfall? After all, they evolved in a Mediterranian climate. Update May 2014: None of these plants survived this last unusually cold winter 2013-2014. I will continue to grow them as annuals/temperennials. According to BONAP, cardoons have naturalized in North America only in the west coast states. I was given two seedlings of this plant by Ramona Garden Club in San Diego County. After a ho hum start the plants took off. They are very appealing due to their structural shape. They grow into large fountains at least 4-5' across. As they begin to create the thistles, they will elongate with the thistles riding over the top. Knowing how invasive they are, I have been deadheading the "blossoms" the second the bees seem no longer interested in them. They will be a dull purple. I cut one thistle open out of curiosity and the base where the thistle hairs are attached to the "heart" was full of seeds. As it dried out in my kitchen, the thistle hairs separated and kinked, ready to take flight, each attached to a seed. Do not let these puppies out! They not only get into the rest of your yard, ... read morebut the roadsides, hillsides and canyons. Snails and grasshoppers love this plant! The latter do not do enough damage to abandon growing them. I am curious about a fly that frequents this plant. It is 1/4" long, slightly green, clear wings. It has a chevron type mark on its back. Appears to be a pollinator. Does anyone know what it might be? I planted this about 3 years ago, I am impressed and happy with its interesting architectural form , and the flowers are beautiful. My specimen is now over 6 ft tall and has at least 8 or 9 flower buds. 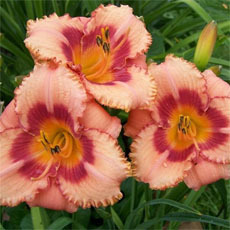 It is planted in a well drained bed that has not had many soil amendments added. It has survived through the few snow and ice events we have had in the past 2 winters. A friend gave me about 14 dried cardoon flowers for an arrangement I put on my barbeque outside on the back porch. The next spring I had about 20 baby plants. I didn't even know what these babies were because I didn't plant any seeds in the bed where they were. It took me a while to figure out the dried cardoon flowers that blew apart in the winter winds had scattered the seed. Very prolific so watch out and remove flower heads after the bloom. Our large rural property, in the Bay of Plenty, NZ, borders onto a paddock with a fence and pittosporum hedge between. We have underplanted the hedge with cardoon and in late summer(March) the show is stunning with the purple flower heads and silver foliage. Dead heading is imperative but we toss the heads back under the hedge for next years show. Stunning plant! I like a few things about this plant. It's low-maintenance. I am in Northern CA (Zone 8) and get no rain from April to October. My cardoons grow without irrigation in very poor clay with no amendment. They grow in shady areas that get only 3 hours of direct sun in the summer, none in the winter. They produce a large amount of material for compost per plant. I just chop off the leaves when they droop. I'm a beekeeper, and the bees love this plant. It produces a large amount of nectar and is good bee forage. The comments about its invasive nature are right on, though. Started from wintersowing several years ago, my cardoon has never managed to get very large. I made the mistake of planting the cardoon under a limbed up crepe myrtle so it may not get enough sun. Still, I love the jagged silver leaves, especially during winter in my 7b/8a garden. The plant's summer blooms are endearingly amusing, like a purple punk hairstyle. After flowering, cardoon seems to shrivel and die, but it's only resting until the weather cools in the fall. I am wondering if I can keep this plant in my indoor garden room for the winter here in Vancouver, WA Zone 6? I will put it out again in the spring. Any ideas would be helpful. While I have found the propagation by seed to be a little difficult in greenhouse conditions, it is truly an amazing plant and one every gardener should have. Has anyone tried to collect the dried seeds directly from the dried flowers/thistle? If so, can you share success/failure stories? I was first introduced to Cardoon in Texas A&M University's Holistic Garden. Its size and unusual appearance literally "stopped me in my tracks"!! I asked, "What is THAT????" I've wanted one for myself for about two years and, now, have two. I'm so excited and can't wait to get them in the ground. Wish me luck!!! I decided to grow cardoon from seed, as I was intrigued by its long history and by the idea that it tastes "artichokey". We did not have any blooms this year, but our 3 plants are happily growing in a large container. It's becoming cold here in the northeast and I was wondering if it's okay to bring it indoors for winter, has anyone tried? this is a tough plant but i started out with 2. i tried to move one and was unable to get all of the root. it died and it did not come back from the remaining root. i have the remaining plant in full texas sun all day on the west side. it lives in hard packed clay soil without any supplemental water. it does get huge. i have never had even one volunteer seedling. several years ago it was attacked by leaf footed bugs. i thought it had died but next spring it was back. it does have spiny leaves. this plant provides winter interest by leaving the plant stalk and dried flower heads. I like this plant because it is dramatic. Love the coloring. Its grayish (sp?) leaves against other plants is very visually pleasing, to me, anyway. Since I have only had it for about a year, can't say anything about its invasiveness. so far no problem. Planted inground, full sun. 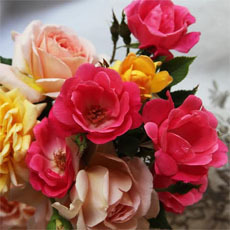 As of this writing, plant is in bloom, it is all I can do not to cut the flower and bring it inside the house. Quite stunning! Currently growing (for edible purposes).... not yet harvest so no positive or negative yet. Stems are used for eating after being "blanched" in cardboard. A favorite in Italy and France and with Italian Americans. So far I have found seedling fairly prone to rotting in wet spring soil. Seedling id: fleshy rounded (before true leaves) dark green with white veining at leaf veins. A very hardy plant but not hard to eliminate in my opinion. The best way to get rid of unwanted plants in by digging up as much of the root as possible. They don't like to be disturbed and have always died when I've done it. DO NOT let this plant go to seed b/c the seed are carried by animals, especially birds and mice making nests and they carry on the wind. If seeds gets away, cardoon will sprout anywhere it lands. Japanese beetles target this plant. Other then other beetles, I haven't observed other pests. Last year, I planted five cardoons from seed in April in my north Michigan (Zone 5) garden. At the end of the season I dug out and destroyed all of them, or so I thought, since I did not believe that they would survive our harsh winters. To my surprise, one came back from what must have been left of the the roots and grew into a glorious plant over the last few months. It is now blooming with about a dozen flowerheads, and reaching about 6ft tall and 5 feet wide. Has anyone else had a cardoon survive a zone 5 winter? We bought a house that came with a large (20' x 40') garden last summer... we weren't sure what would grow this year, so I took a "wait and see" approach.... well, we have/had cardoon and my FIL actually knew what it was, etc. so I had planned to blanche some of it, and harvest it. It grew to about 6 ft tall, and a huge rainstorm flattened just about all of it. Part of it fell over into the "lawn" portion of our yard, and proceeded to sprout in the grass, so we pushed it all back into the garden. Because it is so attractive to bees, I had to wait until this past weekend's 70 degree/cloudy weather to pull it out. New growth had started to grow from the now flattened, but not dead stalks. It's quite hardy and that's not a good thing. 5 hours and 14 plastic garbage bags later, it is mo... read morestly gone... we chose plastic over paper leaf bags to avoid spreading it to anyone else in our town. We have since found more cardoon growing in all parts of our garden, lawn, and other parts of the yard. If you choose to grow cardoon, make sure you tend to it daily, and you want it. We were unlucky that we didn't know what was what and we had never gardened before. Our variety was quite spiny and even wearing leather gloves, my forearms were "stuck" over and over again and appear to have a rash. I remember eating this vegetable in Spain where it is quite popular. We used it in place of artichokes when we wanted the flavor of the artichoke but did not want to spend as much money. It is great for flavoring rice dishes and stews. It is also great by itself, but stronger tasting than the artichoke. I'm happy to report that cardoon will grow in the Waimea (Kamuela) area of the Big Island in Hawaii. It was planted as an experiment for a cooking demonstration that would be presented by Mario Batali (Molto Mario) during a food seminar in Hawaii in March 03....the plants were planted months in advance and did great. The presentation went quite well and we all got to taste cardoon with handmade pasta made with semolina, which we helped prepare. Cynara cardunculus grows since ages in the vegetable gardens around castles even in Belgium although the plant grows more likely in France, Italy etc. 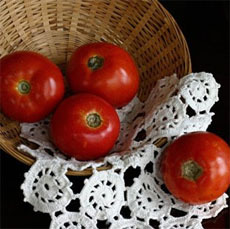 If used as vegetable the leaves must be winded together and covered with black plastic at the end of august, early september to create a hothouse effect. 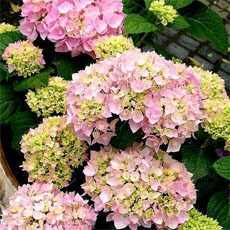 This makes the leaves and stems to loose their greygreen colour and it softens the stems. Cynara cardunculus is a delicate vegetable although it requires a long boiling time over 2 hours or 50 minutes in a pressure cooker. Note that only the stems (very well cleaned) are eaten and are cut in pieces of 6 cm. A good seed is "Plein Blanc", inerme from Clause, France, means Fully white, unarmed (not prickly). I grew cardoon several years ago in an Atlanta suburb, zone 7b, from a packet of seeds. I had about a half dozen plants survive the ravages of rampaging leafhoppers that devoured most of my seedlings, and one cardoon grew to about 8 feet tall, with gorgeous purple-blue thistles. This plant was in the front yard, near the street, and everyone commented on it. The others only grew to about 3 feet, and none of them survived a very cold winter at almost a 1,000 feet high--Atlanta can be a very cold place indeed, in the winter, despite being in the South, and I was sad that they didn't come back, as this was a very attractive plant. Obviously it is not invasive in that climate. I tried eating some of the new leaves, as the Romans ate it, but they were very bitter. I have been looking a this plant in a bed by Kinkos for several years. 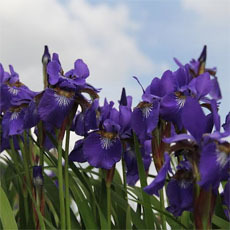 However, the composite flower is an azure blue rather than pinkish-purple. Does anyone know what this blue one is? After all these years of admiring it, they were digging up the bed & discarding everything, so I got one & planted it. I hope it lives in my yard. It readily escapes from captivity. With few natural enemies in North America it can be an expensive invader of parks and other natural areas, and should not be used near or upwind of them. Some taxonomists believe Cardoon cardunculus and C. scolymus are synonyms. 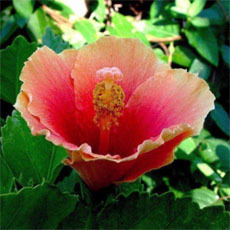 An attractive architectural plant which grows best in poor soil.Is tolerant of salty breezes(sea). Often to be found by roadsides where it has selfseeded,probably by seed carried by birds. Very hardy in my zone 7 yard. Lovely purple flowers that create an enviroment all of their own with bumble bees, butterflies, ants and spiders lying in wait for an unsuspecting victim. Careful though, it has tiny little spikes that lodge themselves into skin and are hard to detect by eye but easy to detect by pain. 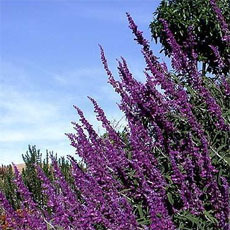 A tender perennial that can grow 6 to 8 feet high. 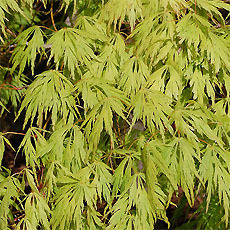 The gray-green leaves overlap at the base and can get up to 20 inches long with ovate to linear-lance shaped segments and deep basal lopes. The wide, plump, edible stems form loose stalks or heads like celery. Cardoons keep their vase shape until late in the season, when a branching ,gray-wooly central stem shoots up. Several buds, which resemble small artichokes, grow atop this stem. These grow into purple thistle like flowers which are 1 1/2- 3 inches across.